Marjorie A. Wendt is an attorney and partner at Schwei & Wendt S.C. in Waukesha, Wisconsin. Ms. Wendt focuses her practice exclusively on family law and represents a diverse range of individuals and families throughout the Waukesha and Milwaukee metropolitan regions. Ms. Wendt has more than 30 years of experience serving Wisconsin residents in family law cases, as well as matters involving adoption, prenuptial agreements and wills. She possesses a great deal of skill and knowledge regarding all facets of family and domestic law, including divorce, child support, custody, legal separation, maintenance, placement, restraining orders, paternity, property division and spousal support. Ms. Wendt understands that no two family law cases are alike and uses her extensive background and training to provide personalized service designed to find the best possible solution. 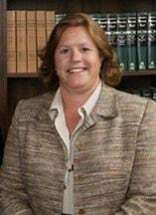 She has been licensed to practice law in Wisconsin since 1987 and is admitted before all state courts, as well as the U.S. District Courts for the Eastern and Western Districts of Wisconsin and the U.S. Court of Appeals for the 7th Circuit. In addition to her practice as a family law attorney, Ms. Wendt is active in her legal community. She is a member of the Waukesha County Bar Association and the State Bar of Wisconsin, and also taught a guardian ad litem seminar for the Waukesha County Bar Association several years in a row. Ms. Wendt earned a bachelor’s degree in criminal justice from Carroll University in 1984 and received her law degree from Marquette University Law School. The Collaborative Family Law Council of Wisconsin certified her in collaborative divorce in 2005.